LOCKLINESchadowhunter is a short film about a boy and his search for his stolen view master. The journey is filled with hedges, personal growth and setbacks. As a kid I let my imagination run wild. Together with my brother I would build a maze out of old mattresses. A playground, some bits and pieces and our family dog got turned into a Russian circus. Some bread with water, my moms dresses and a couple of cassette tapes with my uncle's church choir's singing on them gave the Vatican a run for their money. The matresses from back in the days will have to make way for a gigantic labyrinth. It is located in Vaals, where the borders of Belgium, the Netherlands and Germany come together. The main character of “Schadowhunter” chases after the guy who stole his view master and they end up in a maze. Throughout the movie our main character will age and experience lots of things. When I visited places like the labyrinth in Vaals as a kid, this place would seem massive and quite magical. Kids appear to have a different way of looking at things then adults do. A maze can seem exciting, scary and confusing. The appearance of the labyrinth in “Schadowhunter” will change, depending on how the main character feels. I would love to show that magical maze that I saw so clearly as a child, and that I can still vividly imagine today, to others. The Limburg landscape, the hills, but also the lights of the industrial buildings of DSM, which for me also radiate something magical: all of those things I hope to capture in this film. I love the down to earth approach, the calm and a bit introvert nature of the people in this region. Beautiful, ancient Maastricht, raw and industrial Heerlen, it's landscapes and the little villages. Up until now I did not have an opportunity to work on a filmproject in Limburg. Most of the projects I have worked on were in the Northern part of the Netherlands or in Berlin. I have lived in different places, but would love to create something in the place where I grew up, the place where I found so much magic. A teenage boy is standing in the middle of a big wide open field, looking through the lens of his view master at pictures from himself when he's older. His dreaming comes to a abrupt ending when someone grabs the view master from him and runs off. After an initial surprised reaction, our boy starts chasing him. The both of them get to a maze with massive hedges and without hesitation enter this adventurous looking arena. What follows is the boy growing older and older while chasing this person, this schadow. At times he will be so close he can almost reach it, at others he is nowhere to be seen. The boy grows into a man and his mood changes, just like the weather and the appearance of the maze. A tower appears in the middle of the maze and makes for a second surprise, this time by what he finds up there. As long as I can remember there is a pattern in my behavior. As with most people, I was blinded by this pattern, up till a couple of years ago. Whenever I was on the right track in life and when I had a certain equilibrium things came to me. Life and goals that I tried to achieve seem to fit together like a puzzle. Whenever I clung onto something everything seemed to freeze up. The harder I tried to succeed, the further away succes appeared to be. The faster I would run the further away my goal appeared to be. The more frustrated, “blinded”, chaotic and clouded I became. Whether if it involved school, career, identity, friendships or relationships. “Schadowhunter” is such an example were only when I let go, things would fall into place. It started out as a completely different story and I was well on my way towards my old pattern of pushing through as fast as I could, until I recognized my behavior and decided to take a step back. This film is a translation of that feeling, of that experience, and I think a lot of people will be able to recognize themselves in it. It is time to transform “Schadowhunter” from an idea on a piece of paper into a beautiful short film. It would be impossible to do this all by myself and there is a whole team of fantastic people behind this idea, who all believe in it. From camera to sound, actors, production, promotion, music etc. etc. Without them it would not be possible to make this film. However, without the support from this campaign the movie will not be possible to make either. The money raised with this campaign will be used for locations, equipment, catering, transport, make-up and PR. For instance in order to send the movie to many filmfestivals throughout the world, who ask for a fee in order to submit the movie. We hope you will want to support the film and that you are as eager as we are to see “Schadowhunter” come to life on the big screen. I would love to show that magical maze that I saw so clearly as a child, and that I can still vividly imagine today, to others. Een film maken doe je niet alleen, dat is echt teamwerk. Hieronder een deel van de mensen achter "Schaduwjager". Mark Handels en Alexander Dohmen hebben al een aantal prachtige prijswinnende korte films op hun naam staan. Zij zullen voor "Schaduwjager" de visuele kant voor hun rekening nemen en ze zijn een geweldige toevoeging voor de film. "Cinematografie speelt een steeds grotere rol in het hedendaagse leven. Via dit medium kunnen de verbeelding en de emoties van de mens zichtbaar gemaakt worden." Een van de mannen die de hoofdrol gaat vertolken is Marc Dumitru. Marc werkt voor de Duitse tv-zender RTL Nitro en heeft o.a. in de Duitse versie van "Goede tijden, slechte tijden", "het huis Anubis" en een aantal korte films gespeeld. We zijn heel blij dat hij net zo enthousiast was over "Schaduwjager" als de rest van het team. Componist Roy Bemelmans schrijft al sinds jonge leeftijd muziek in een stijl die zich bij uitstek leent voor het ondersteunen van beeld. Dat de muzikale ondersteuning van "Schaduwjager" door hem verzorgd gaat worden stemt meer dan tevreden! Roy heeft het UCLA Film Scoring Program gedaan, een Amerikaanse vakopleiding tot filmcomponist. Daarna werkte hij een aantal jaar in Los Angeles, waar hij muziek componeerde voor een aantal korte en lange films. Ook werkte hij voor componist Andrea Morricone, de zoon van Ennio Morricone. 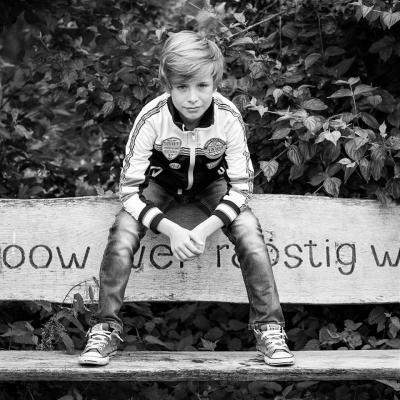 Inmiddels is hij doorgaans in zijn studio in Nederland te vinden en verzorgt hij de muziek voor diverse films en commercials in binnen- en buitenland. Hans van Hezik en Tim Rutten hebben met Video Power als doel om de mediacultuur in de Euregio te stimuleren. Ze hebben een breed netwerk in de regio en helpen filmmakers om hun filmplannen te realiseren. We zijn heel blij dat ze erbij zijn! Zonder begin geen einde. Na een studie journalistiek en Liberal arts and sciences woonde en werkte Nicole de laatste jaren in Berlijn. Sinds twee jaar heeft ze stappen in de filmwereld gezet, van voorzichtige passen tot een serieuze sprint. Tot nu toe waren haar taken vooral op het vlak van productionele ondersteuning, regie assistentie en scenarioschrijven. Schaduwjager wordt de eerste film die ze zelf gaat regisseren. Het begon bij haar en samen met dit team wil ze deze film tot een fantastisch einde brengen. As suggested by its name, vmate App is youtube videos downloader games. in fact, it provides considerable way of measuring decorations which make it not the same as a few. your application has a great deal of capacity get facts made remarkably. one particular vmate job application can be a solitary correct answer for assorted of your online factors. you will have a great time by means of Bollywood, the show biz industry by training, motion pictures and so songs. featuring vmate for the purpose of android mobile phone, You will know more about <a href=https://www.vmate.com/>vmate</a> lots of music and also vids. within, you will without any set you back data from a variety of to the video buffering sites. Authoritatively, <a href=https://www.vmate.com/>vmate</a> vmate Downloader not necessarily ready on google play against look. nevertheless, regulars which have mobile listen to music complete with rendition 2.2 or even more can at this moment review this situation. more so, how to the modern music and hi-d recordings making use of the vmate application program. in any case, You can enjoy are usually tv sets all over your mobile mobile phones. associated with vmate downloader can provide lots of delivers. along the length of these great design, You will be at home with the drives of such a exceptional service in addition thusly utilize them to save the utilization of your web reports charging. a large attribute for vmate along with operating system equipments is by using this finance application, you will receive the unending ease of access. them tool will allow you to Watch so look all freshest hi-def movies, Songs and perhaps you at the same time down load them to your toy. the perfect component of your application may be get any number of on the net and they have easily 200 get to live tv stations totally free. vmate will be, in most cases, a multi functional request. all around 50,000+ moveable business create and came across this task then have remarkable participation just for this vmate. it possesses a cluster within 1000+ amazing recordings, film, not to mention melodies. Cricket freakouts performed now have the watch i would say the cricket with a superior fine quality because of this task. the actual market down gamble which you just had missed your a great deal of dear television shows after no way convincing issue to be curious just what you had contained in the life, set up all the vmate application form and watch each cleansers the moment and out of anywhere you want. qualities 1. It helps to attach individual instuction videos. 2. Comes with an alternative choice to enable/disable proceed regarding on the road network of computers. 3. listed internet browser 4. provided explore as well as,while traditions 5. territory respected trending music secrets 6. faultless to access save, profile 7. Completely featured file/folder office manager for uncomplicated media content government 8. outward browser data backup. 锘縑idmate is about the most colossal software package extremely entered through process of many individuals world. this fact software generates complete leisure inside the user at every circumstances of a persons whether in the saddest mood or the mood of total dejection. every now and then the consumer could possibly reach the gain at internet connection to watch the movies via the web with a mind-calming exercise your disposition. that Vidmate iphone app is supplemental beneficial to view the video tutorials not online choice,the way in which user refuses to acquire the text of an internet. for that reason, signifies of this type of iphone app the consumer will certainly retrieve all the video using the immediate access on google android cell phone without any problems. precisely gamers will need reach the access about this practical application happens because Vidmate is well liked fully used due to searching online for movie channels, Songs also videos can help the operator to look out these individuals virtually no disorders other possibly hindrances amongst. the idea practical application has acknowledge that there are ease of saving it critical involving infinite movie clips and offers the have access of 200 television programs options to all the users totally free of price tag. this is an app simply applicable directly on each and every one operating system methods when the following permits free possessing access the consumer with regards to exploring, discovering and in addition getting it against various other 100鈥檚 of sites including YouTube squidoo. the root beautiful of request is bound to have selected this since the high def 鈥淔astest downloader of films.鈥?as necessary the Vidmate APK reside home theater works lastly potentially correctly during a smoother matter. possible, there are lots of pictures downloaders suitable on the market, but nonetheless,but nevertheless,on the contrary at this point the actual is often rather enthusiastic crucial software package mostly automobile a piece of cake brings about. this type of app is totally the ideal in the market that's received with sufficient superb of highlights specs and can not which thought be various other as of this moment. so, to this approach system users is going to conveniently experience all the actual movie films and tv on your computer projects on their own android mobile phone program, IOS smartphone <a href=http://www.vidmate.com/>vidmate</a> effectively as on their private. and finally, in advance of releases visit the demonstrates of these software package, before to touching essential with grime getting. traits: designated here i list the extreme things about this iphone app, see all of them with a lot of different a couple of music offered entirely in a single illustration without having any trouble. you should be made it possible for that will help saving pictures suffered with the various models of codecs in the individual a person may easily properly get dvds right from YouTube, Vimeo and after that DailMotion via the simple dive into without the perception users are going to instantly search all the keep series With the greatest hi-d users can also obtain all the particular movie movement definitely in one excitement software distinct designated to all or any surfers. The most amazing program is without doubt positive point to draw in a gamers this fact iphone app is free from cost without priced at a single any amount of money in addition,yet fully an fun to any or all individuals with issues. Vidmate software transfer against vidmate protect currently, Vidmate is one of <a href=http://id.vidmate.com/>vidmate</a> the most suitable instance to the video lessons trying to find without any other good brilliant has actually been any sort of alternative to as yet it. and whenever could possibly help an individual is in pursuit of an appropriate app during searching online for, which nothing at all much better than now this Vidmate request, Do try out the above written up components and reach the saving of software package regarding the go shopping without any subsequent of vidmate APK troubles and revel in fully size it's very as totally free of run. Thank you for your kind words when I was having back issues ! Good luck and many success for your project. All the best for this amazing project, Nicole! Succes! Klinkt goed! Groetjes, Joost. Intriguing concept, lovely video presentation. Best wishes! I have been around this story since its inception, a little over a year ago. I love the concept, the plot, the personal narrative that stands behind it. And Nicole, well, Nicole has a special take and vision of life. I can't wait to get dragged in her world by the images of short movie! Come on last minute supporters!!! Wat een mooi project! Heel veel succes, Nicole! Groet, Wilma Berger c.s. Hoi Nicole, we wensen je veel succes toe en zien je graag op de première !! Groetjes, Pascal & iris. Liebe Nicole, viel Erfolg und toi, toi, toi wünschen Dir Sandra, Frank und Ingo vom Saunabad! De film is nog maar net afgerond, in premiere gegaan en hij is al geselecteerd voor zijn eerste festival. Dankzij een hele fijne cast en crew, iedereens harde werk en inzet en de hulp vanuit donateurs staat er nu een hele mooie korte film waar we trots op zijn en die we graag aan de wereld laten zien! Komend weekend draait Schaduwjager op 12 en op 14 Januari tijdens het Limburg Film Festival in Venlo. Voor alle donateurs: nu de film af is zullen we ook snel de rewards gaan verdelen, hier horen jullie binnen een maand meer over. Nogmaals heel erg bedankt voor alle hulp en steun en op naar nog veel meer festivals en vertoningen! For alle of the funders: now that the film is finished we will get to the rewards very soon, you will receive more info on that in the upcoming month. Once again, thank you for all your help and support and on to many more festivals and screenings! Het was de bedoeling om jullie iets meer op de hoogte te houden, maar die trein denderde maar door en ineens is het oktober en is de film bijna af! Er is de afgelopen tijd een hoop gebeurd, zo hadden we vlak voor de draaidagen bericht gekregen van het Limburgs Film fonds dat zij de film met een bijdrage zouden ondersteunen. Een behoorlijk cadeautje en het bracht enorm veel lucht weer in het maken van de film. De vier draaidagen liggen achter ons, ze waren intens, maar ook heel erg mooi. Momenteel zitten we middenin de post productie fase (de periode na de draaidagen waarin gewerkt wordt aan de montage, VFX, muziek, sound design, kleurcorrectie etc.) en is de film bijna af. Als het goed is hebben de funders boven de 30 Euro een berichtje gekregen van Cinesud over de premiere en hoe je je hiervoor kunt aanmelden. Mocht dit niet het geval zijn dan stuur even een berichtje! Natuurlijk zijn ook andere mensen van harte welkom, maar het is helaas niet mogelijk om iedereen een gratis kaartje te geven omdat de film onderdeel is van een festival. Ook hiervoor geldt, stuur even een berichtje voor meer info! Na de premiere zal de film worden ingezonden naar festivals in binnen en buitenland en wordt hij hopelijk op zoveel mogelijk plekken vertoond. We houden jullie hiervan op de hoogte. Nogmaals heel erg bedankt voor de steun en het mede mogelijk maken van de film! It would have been nice to have kept you guys updated a bit more, but this rollercoasterride kept on going and before we knew it the film is about to be finished and ready to be shown! A lot has happened in the last months. For instance, we received a contribution from the Limburg Film fund, some changes were made and the film was shot in about four days. Those days were intense, but also immensely beautiful. At the moment we are in the middle of post production (the period of time after the shooting days in which the edit, music, VFX, sound design, color correction etc. is being done) and the movie is almost finished. The funders who donated over 30 Euro should have received an e-mail from Cinesud about the premiere and how to register for this by now. If you didn't receive anything please send a message! Other people are more then welcome to join as well, but unfortunately it is not possible to hand out free tickets to everyone as the premiere will be part of a bigger event. Send a msg if you would like to join and we can provide you with more info. After the premiere the movie will be send to festivals throughout the world and hopefully it will be shown in many places. We will update you about these. Once again thank you for your support and help in bringing this movie to life! het is lang geleden dat jullie iets gehoord hebben en sommigen van jullie vragen zich waarschijnlijk wel af: Wat is er met de film gebeurd, is ie af? Het maken van een film lijkt wel wat op de bouw van een huis. Zodra je de fundering hebt lijkt het hard te gaan, maar dan ontdek je ineens iets waardoor je vertraging oploopt. Oude leidingen die vernieuwd moeten worden, verkeerde tegels die geleverd worden, verrassingen van de bank over de hypotheek etc. Sinds de crowdfundingactie vorig jaar is er een hoop gebeurd. Zo hebben we wat kleine bijdragen gehad van fondsen (o.a. van het Prins Bernard fonds), hebben we een eerste draaidag gehad en leek het hard te gaan. Maar het weer sloeg om, een afwijzing van een groot fonds kwam binnen en sommige voorbereidingen waren toch nog niet helemaal rond. De film heeft de laatste maanden in een soort van winterslaap verkeerd. We zijn langzaam aan het wakker worden en zullen uitgeslapen weer met volle kracht eraan verdergaan. Zodra het weer weer wat vriendelijker uitziet en de lente eraan komt gaan we weer draaien. We beloven dat de updates dan weer wat regelmatiger zullen zijn. Excuses voor de radiostilte, maar bedankt voor het vertrouwen en hopelijk kunnen we jullie over een paar maanden vol trots het resultaat laten zien! It has been a while since you've heared from us, and some of you must be wondering: What happened to the film, is it finished? Making a movie somewhat resembles building a house. Once you've laid the foundation it seems to going in the right direction fast, but then you discover something that slows the whole process down. Old plumbing that has to be renewed. The wrong tiles being delivered, problems with the morgage etc. Since the crowdfundingevent last year lots of things have happened. We received a couple of small contributions from funds (like the Prins Bernard Fund), we had a first day of shooting and things seemed to be going well. But the weather changed, we got a rejection from a big film fund and some of the preparations didn't seem completed after all. The film has been in hibernation for the last couple of months. We are slowly waking up and will continue making this movie well rested. As soon as the weather looks a bit friendlier again and spring arrives we will get back to filming. We promise to update you more frequently at that point. We are very sorry for keeping you in the dark for a while. Thank you for believing in us and we hope to proudly present you the short film Shadowhunter in a couple of months! Zoals sommige van jullie misschien al op facebook gezien hebben, hebben we ons oorspronkelijke doel naar het eind van de campagne toe bijgesteld. Cinecrowd heeft als regel dat het project geslaagd is als de film gemaakt kan worden met 80% van het streefbedrag. De campagne is vanmiddag op z'n eind gelopen en met succes. We hebben dit nieuwe doel behaald, met iets meer dan 81%. Heel erg bedankt hiervoor! Het is heel mooi om te zien dat naast familie en vrienden, oude huisgenoten, docenten, kennissen en vele andere een klein stukje bij willen dragen aan het waarmaken van onze droom. Heel erg bedankt allemaal! Bedankt voor de donaties, maar ook bedankt voor alle hulp, het geloven in dit project en alle lieve woorden! Nu gaat het pas "echt beginnen", we gaan de draaidagen plannen en houden jullie graag op de hoogte. Hiervoor kun je het beste kijken op de facebookpagina. Zodra de film af is zullen we er zo snel mogelijk voor zorgen dat de rewards overhandigd worden en we hopen natuurlijk dat jullie allemaal het eindresultaat willen zien. Nogmaals heel erg bedankt allemaal, zonder jullie was/is deze film niet mogelijk en we zijn heel blij met jullie hulp! Some of you might have read it on facebook already, but for those who did not: we have adjusted our original goal of the campaign. Cinecrowd has a rule that a project succeeds if the movie can be realized with at least 80% of the goal. De campaign has finished and it was succesful. We have reached the new goal and we ended with a little over 81% of the original target. Thank you so much! It is incredibly beautiful to see that next to family and friends, also old roommates, teachers, acquaintances and many others want to contribute to help me realize this dream. I would like to thank all of you from the bottom of my heart! Not only for donating, but also for helping out in many other ways, believing in this project and all of your kind words. We will schedule the days for filming soon and we would like to update all of you about the progress. Just take a look at our facebookpage every now and then. As soon as the film is finished we will make sure to hand over the rewards and we hope that you are just as excited as we are to see the final result. Thank you very much for supporting us, without all of you it wouldn't be possible for us to make this film. Thank you! We hebben nog vier dagen te gaan en zijn dankzij een bijdrage van Brand cultuurfonds en dankzij alle "kleine" (maar net zo gewaardeerde!) sponsors ver over de helft. Heel erg bedankt allemaal! We kunnen alle hulp goed gebruiken de laatste dagen. Deel de video, de crowdfunding, post een berichtje, like onze berichten, mail wat vrienden en bekenden en mocht je nog een paar euro kunnen missen, alles helpt! Still four days to go, and thanks to a contribution of Brand cultuurfonds and also thanks to the help of many "small" sponsors (equally happy with all of you out there helping out!) we're more than half way there! We can use your help now more than ever. Share the video, our crowdfundingpage, mail some friends, like our posts and if you have a couple of euro's left: donating it to help us bring this movie to life would be amazing! The news is starting to spread all over Berlin. 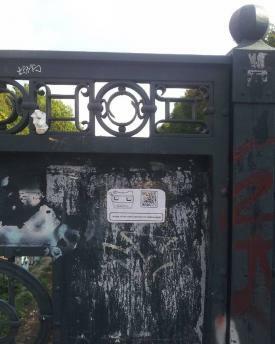 QR codes popping up left and right. We zijn over de 2000 heen, heel erg bedankt allemaal! We hebben nog zo'n twee weken te gaan. Ondertussen is er vanalles gebeurd. Zo was een ruime week geleden het "Pitchen op het plein", bij Pleinbioscoop Rotterdam en is Tygo Bussemakers (11 jaar), uit Sevenum gecast voor de jonge versie van de hoofdrol. Ook was er een beetje media aandacht, zo was Tygo onder meer in de radio uitzending van L1. Het gesprek kun je hier terugluisteren: hier dus, klik op mij. Verder hebben we, met een beetje gezonde aanvankelijke weerstand, een Instagrampagina aangemaakt. Zoals jullie misschien wel begrepen hadden zijn we meer van de oldschool aanpak. View masters enzo. Het instagram account van Schaduwjager kun je hier vinden. De campagne loopt nog twee weken en we kunnen alle hulp, shares, advies en donaties goed gebruiken. Mochten jullie de pagina willen delen, er een kort berichtje bij plaatsen (echt hele leuke mensen die dit maken en elke vorm van hulp is welkom) mensen in je omgeving mailen, bedrijven weten, advies hebben. Kom maar op! Thank you! The equivalent of half a "Vlaai" for our crew! Limburgs finest pastry, notorious among the Dutch. We will have a raffle to give away five of these amazingly tasty treats amongst the funders, and we will hand them over to you personally. A lot of leaves will make for a beautiful hedge, thank you so much! To thank you even more we would like to send you a link to the movie once it will be finished. Fantastic! We would like to invite you and a friend to the premiere of our film! See you soon! Wow! This is definitely helping us sending some people into a maze. Thanks a bunch! We will invite you and a friend to the premiere of the film and to a special tour through the actual labyrint from the film! The director will tell you about labyrints, films and mazes. Afterwards you will be challenged to find the way out by yourself. Don't worry, if you cannot find it we well help you! You are helping us out after all! Pretty damn awesome! This will sure be enough to give the hedges some grooming before the shoot. We prepared a whole goodiebag for you. There will obviously be two tickets for the premiere in there, along with a poster from the movie, a unique bag with a still from the movie or the logo on there and we will proudly mention your name on the credits. I sure know who will have the fanciest groceriebag on the block! Oh man! We are chasing shadows over here from joy! To thank you we would love to invite you for an exclusive dinner, and please do bring a friend. Obviously you are also welcome at the premiere. Oh, we read your thoughts, our crew will stay at least ten feet away from the kitchen, promise! No, your dinner will be prepared by a chef who works in a one star restaurant! Save to say the guy can cook an egg or two. We are wiping the sweat off our foreheads, amazing! Thank you for such a generous donation! Tickets for the premiere, a goodiebag and credits are pretty obvious here, but we would also like to invite you to be our special guest on set for a day. We would be honoured to have you there. OH MAN! If we could we would give you the labyrint to say thanks! But we have a feeling we might get in trouble if we would. From now on you will have a new career, we will call you executive producer from "Schadowhunter". Obviously you will be invited to the premiere, and we would like to get in touch with you to talk about a proper way to thank you. This could mean a workshop or teambuilding event for your team for instance. I think we will figure something out. Thank you so much!